If you struggle with uterine fibroids, you probably know that these benign growths can cause uncomfortable or even painful symptoms. New Jersey women can turn to the expert team at USA Fibroid Centers for non-surgical treatment options. Our national network of outpatient medical centers specializes in the cutting-edge Uterine Fibroid Embolization (UFE), a non-invasive approach that preserves the uterus. If you visit other gynecologists throughout New Jersey, they may recommend surgical options such as a hysterectomy to treat uterine fibroids. However, this surgery is often medically unnecessary. We believe patients should be made aware of UFE as a non-invasive alternative for the treatment of fibroids. At our New Jersey USA Fibroid Centers clinic, you’ll meet with a fibroid specialist who will take the time to present all treatment options available to you. Our staff will also help you find the treatment that best suits your condition and lifestyle. Reach out today to take the first step toward living a life free of uncomfortable fibroid symptoms. Many women believe that fibroid surgery, such as myomectomy or hysterectomy, is the only option available to treat uterine fibroids. 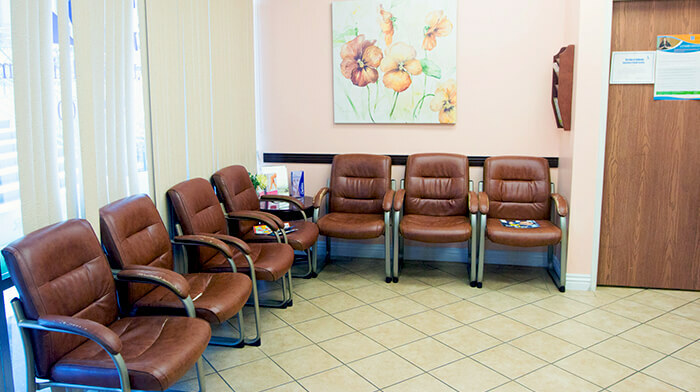 When you visit our New Jersey treatment center, you’ll learn about our alternative, non-surgical approach for treating fibroids, UFE. UFE is an FDA-approved treatment that our fibroid specialists perform in-office at our New Jersey outpatient clinic. If you’re a working woman, a caregiver, or just wish to avoid the downtime required after surgery, UFE may be the perfect option for you. It requires no hospitalization, and patients go home directly following the procedure. You won’t even need stitches — just a small bandage to cover the incision site. Fibroids are located using an advanced ultrasound in a process called fibroid mapping. The upper thigh is numbed, and a tiny incision is made. A tiny catheter is inserted into the incision and threaded into the artery supplying blood to the fibroid. The doctor releases small particles, which flow from the catheter and block the arteries. The blocked blood flow causes the fibroids to shrink and eventually die. 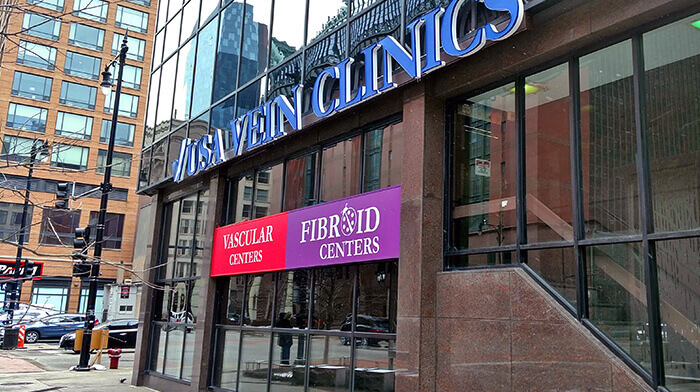 With clinics throughout the United States, we make sure there’s always a USA Fibroid Center near women looking for solutions. Our conveniently located clinics will allow you to get the treatment you need so that you can get back to living your best life. When you meet with one of our fibroid specialists at our New Jersey location, we’ll confirm your fibroid diagnosis and go over treatment options available to make sure UFE is the best choice for you. We can also answer any questions you have about the procedure and recovery process. Use our map to find the New Jersey treatment center nearest you. You can also click on the location to get directions. Schedule your appointment with USA Fibroid Centers today to find out more about the innovative UFE procedure. You can also call us at 855.615.2555.